When James and I found out we were pregnant, we were completely shocked. 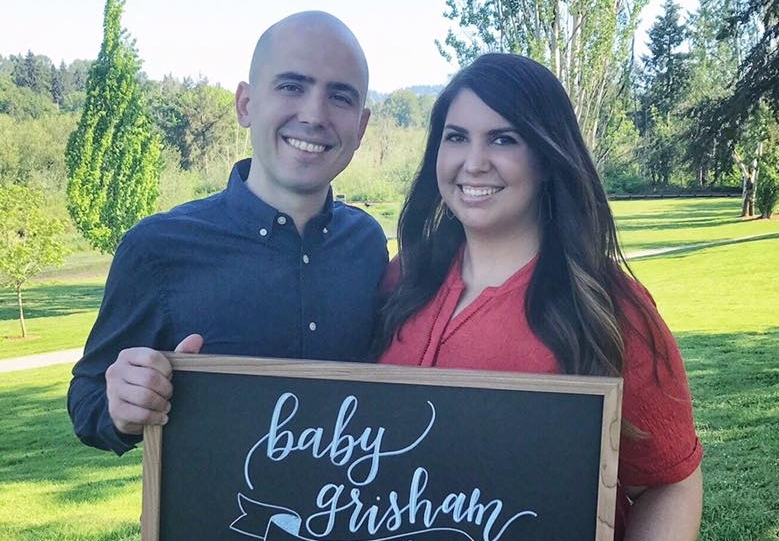 No not shocked like “OMG… oops… we're having a baby;" but shocked like “Wow, we truly didn't know if this was in our future.” Obviously, when you’re doing fertility treatments, there's really no “oops" about it. "God has fulfilled his promises." And while all those things are 100% true, I started to wonder whether people believed our good news was proof that they were true. I found myself dwelling on the fact that those things have always been true. They were true before this pregnancy and would continue to be true even if I had never become pregnant or if for some reason this pregnancy does not end with a baby in our arms. God's faithfulness and his goodness does not rely upon his fulfillment of our desires. I know this can be a tough pill to swallow. I have seen and heard Christians talk about how they worry that they did something wrong when God doesn't answer their prayers. They start to question whether or not He is truly good like He says He is. Often they become angry when prayers aren't answered the way they see fit. I think if we are honest, we have all felt this way at some point in our lives. One of my anthems throughout our 3.5 years of infertility was, "and if not, He is still good." "And if not..." comes from the book of Daniel. Chapter 3 tells of the faith shared by Shadrach, Meshach, and Abednego when they were entering into the blazing furnace. The truth is - these boys didn't really know if they were going to come out alive. But they had faith that God could deliver them if he saw fit. They knew that even if they didn't come out again, Jesus was still being glorified through their faith. Their God was worth it. In the end, their story turned out as they had hoped. But that, to me, is not the point. The pivotal moment in this story is not when they walked out of the furnace alive, but those excruciating moments right before they walked in. The moments of unknown. Even though they didn’t know what would happen to them, they did know that regardless of what happened, God was good. This phrase has been my anthem because I have always believed, even if we couldn't ever get pregnant, God is still good. He is still faithful. He is still a promise keeper. To me, this baby is a gift. A long-awaited, squeal-worthy, jump up and down, tears of joy kind of gift. But she is just that - a gift. God did not have to give me a baby to prove His faithfulness. He did not promise me a biological child. I knew motherhood would be in my future one way or the other, but I also knew only God could control and direct the way we became parents. Here lies one of the hardest questions we face as Christians: Why does God give some people their hearts’ desires but not others? I cannot answer that question, because truthfully, I don't know the answer. I have seen many people struggle through difficult seasons and eventually receive the answers to their prayers. But I have also seen friends who are far more worthy than I, continue to wait and pray. Even though I do not know the answer to why some prayers are answered and others seem to go unanswered, I do know that as Christians we need to be extremely careful of how we view God. We have to guard our hearts and not allow what he gives or doesn't give us to be the lens through which we see him. This is true of most any challenge life throws at us: singleness, difficulty in marriage, death of loved ones, financial trouble and so on. God proved his faithfulness once and for all on the cross. He gave up His most precious gift to ensure that we could spend eternity with Him. He gave something that we as humans would never be able to willingly give - his own child. On this earth, tomorrow is never promised. But eternity is. Eternity with a faithful, good God who will fulfill his promises in Heaven.